Welcome to Talented Tuesday No. 13! Thankfully We haven’t had any snow down here in Alabama- it’s actually quite sunny outside! If you do have snow, I hope that it hasn’t caused too many problems for you and you are able to enjoy it. Family and friends back in the UK had quite a bit of snow last week too so I am quite jealous that I haven’t been able to make snow angels 😦 Hopefully, you will have all been busy enough to have a couple of posts to link up. Amanda over on Dwelling In Happiness has been sharing quite a few amazing tips on how to get organised. Last week she linked up her tutorial on junk organisation. In the UK, these types of junk drawers have always been known as ‘man’ drawers must I have got to admit that I make messy drawers too- it isn’t just men! 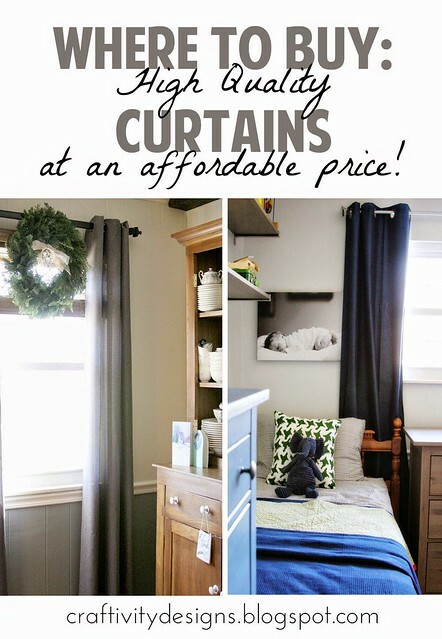 The ladies over on Craftivity Designs shared their post on where to buy affordable curtains. In the UK, we had an Ikea 26 miles to the North of us AND 26 miles to the South of where we lived. I always got my curtains from there as they were affordable and I could alter them to fit our windows. It’s nice to be given an alternative to Ikea as the stores are few and far in the US. All of the curtains in this post look fab! My next feature is from Little Blog on the Homestead. Nicole shares her top tips for hosting a clothing swap party. I have always wanted to host one of these swapping parties but I just never managed to get round to it. I will be keeping this post in my reading list for future reference! 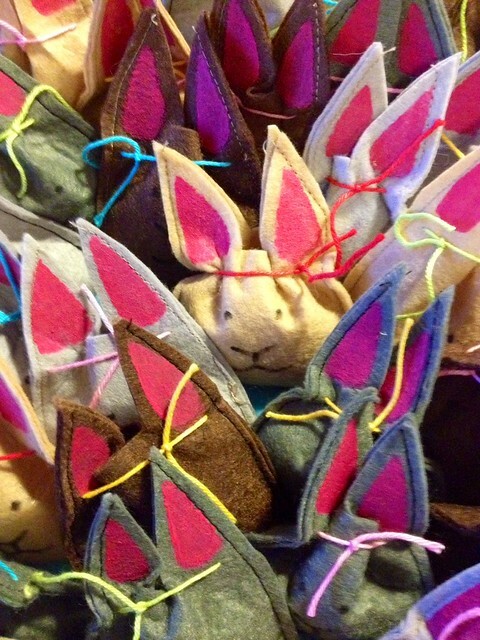 These super cute bunny treat bags come from Liz over at Howling at the Moon. They are just adorable and would be great for birthday parties or Easter treats! 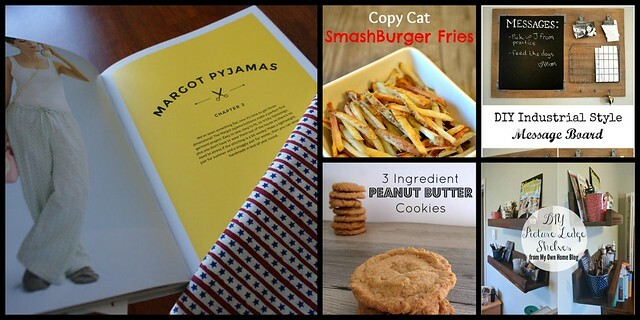 I’ve got quite a few scraps left over from previous projects that I think would be perfect for these! 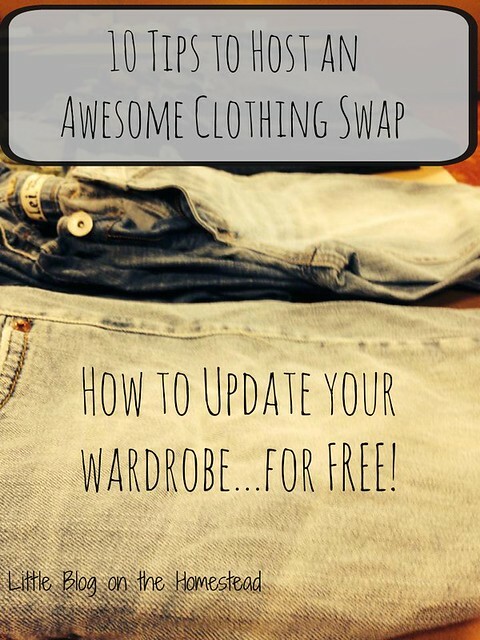 Thanks for featuring our clothing swap post!! Getting ready to start planning our next one and I can’t wait 🙂 it’s so much fun! Thanks so much for featuring our post!! Gosh, that must have been so nice to have an Ikea less than 30 minutes away!